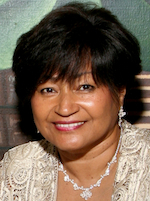 Paula Trout is President and CEO of Alternative Dispute Resolution Forums and provides services in Las Vegas, Nevada, Los Angeles, California, Columbus, Ohio, and Anchorage, Alaska. This article provides an overview of the mediation process. We are in the midst of a litigation crisis. The high cost and long delays associated with the trial of civil matters often make litigation an impractical method of resolving disputes. It is not uncommon for the attorney's fees, expert witness fees, jury fees, court reporter fees and other related costs to exceed the amount in dispute. Mediating a case before a lawsuit is filed enables the parties to present their case to a mutually selected neutral person before any money is spent on litigation. The cost of mediating a case is minimal compared to the costs incurred through the life of a lawsuit. Okay, we know you can't make decisions. We know you can't issue orders. ('I'm not a judge or an arbitrator, blah, blah, blah.') We know you can't take sides, must always remain neutral. And we know you can't give us legal advice. And then you tell us mediation is a consensual process. Bummer. Now the other side can walk at will! "So, what in the hell DO you do?" The “What” of Mediation: When Is Mediation the Right Process Choice? As mediators, lawyers, and their clients gain more experience with mediation, fewer and fewer types of disputes will seem less amenable to the process. Even if mediation only succeeds in improving the parties’ communication, in identifying their underlying interests, in narrowing the issues in conflict, or in helping them more carefully evaluate their litigation option, it can move the dispute towards a quicker, more cost effective resolution. We all have questions about mediation. Not just disputants, but also the lawyers, and mediators themsleves. This list aims to answer some of the peristent ones. While the benefits of mediation vary somewhat depending upon the nature of the dispute, and model of mediation applied, the following are some of the benefits typically associated with mediation. Finding and selecting a mediator can be easier if you follow some simple steps. In the best of circumstances, divorce is an uncomfortable process. Take the time to assure you have a mediator whom you like, respect and believe to be qualified to help both of you negotiate that equitable settlement. The market demands a mediator who will give the parties the best chance of settling their dispute. So, how do you choose that mediator? Here are one mediator's views after having mediated thousands of disputes over the past fourteen years. When a dispute is truly ripe for mediation, who you choose to mediate is unlikely to affect the outcome. Frequently, however, who you choose to mediate can be critical to making mediation work. Where Can Mediation Be Useful? Few controversies are more damaging to a business than a dispute with an employee. In today's environment, a single major employment dispute can result in the erosion of substantial assets because of legal fees and a potential jury award. This article gives some insight and wisdom on how the scriptures are useful in resolving congregational conflict. ADR in Healthcare: The Last Big ADR Frontier? You are probably saying to yourself “What a strange title.” This seems especially true when you consider that dispute resolution and conflict management (DR/CM) practitioners are a fairly flexible, adaptable and imaginative group. Surely there will be lots of new “frontiers” left for us to conquer in the future? Mediation can provide an ideal setting in which the complainant can accomplish the primary aim of stopping the behavior. Without such a mechanism for dealing with the situation, the complainant has only two choices: go through the process of a formal complaint and investigation, or do nothing. These options often do not meet the needs of the employee or the organization. It is likely that you asked for or agreed to mediation because the strategies you have already tried have not helped you resolve your dispute. The purpose of this article is to help you think - before your mediation - about what you can do as a participant to give your mediation the best chance to succeed. Mediation is changing law practice. It is the cheapest, lowest risk, and most under-utilized form of alternative dispute resolution. And the demand for it is rapidly growing. We can take positive steps to prepare for the decision-making process and we can monitor our own behavior - and that of other participants -- as the process goes forward. By following a few common sense rules we can reduce conflict and turn it into cooperation and reach solutions that really work for all the participants. You don't have to be a mediator to know that emotional issues lie at the heart of conflict. Seasoned mediator, Eileen Barker provides practical suggestions to deal with the emotional dimension of conflict. This article explains the concept of alternatives analysis and presents a method for conducting an analysis with parties in mediation, including many of the considerations that may affect the parties’ perception and use of the analysis. Most people approach mediation with the best of intentions. However, they sometimes encounter adversaries who don't quite see things their way, and approach the process in a much more competitive and sometimes hostile manner. Copyright © 2009 - Paula J. Trout, All rights reserved.